Delusion of accepting new changes and leaving old behind. All of sudden life seems to b changing it’s routien, i m not sure to b happy or sad for it, i m in total delusion. I want to enjoy dis new changes but it costing lot to me. I m going to resign next month, frm next month i won’t b geting ready going to hospital, taking rounds, giving morning smiles to patients. No morning drive enjoying morning life @ road. Bt again this was something i wanted , i signed myself for it . so when now the changes are happening why i m scared to lose wat i was having and worrying how i wl b blending in new atmosphere. But then again i think itz human geting scare of new things and still wanting them. I m scared of loosing my comfort zone @ which i m right now. Then new place, new ppl , new life they too will b providing so much to me (hope so) if not much will surely take me bit away from pressure of marriage i m burden wid @ home. I know my parents are not wrong about it but y go with such a big thing for which i feel i m not ready. Syrian kid taught how weak human race is. 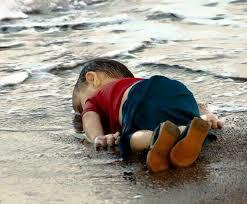 It has been days of syrian kid news and that innocencyng lying dead on beach has disturbed each soul according to me. But i was wondering what we as human has achieved , this ? We need identity to live , to have basics of life. And this identity is so cheap that could be played by any political hand. Aren’t animals more secure and free then human these days. They are allow to live where ever they want, race their progenies any where they feel safe for them, there is no border for them .where human race bounded in so many lines that crossing any line chossing any way of survival lead them to risk their life.Are we really growing or ?? The laws we made for society, the religion there to keep human in line of being right or wrong. Y all falling apart ? Y the greed of man surviving and damaging his race ? Y the faith is shaking itz root ? Y human forget his basic motto to survive and let all other of his race to survive with same dignity ? Y his motto of survival turn in greed of dominating others ? Y human is the only race enemy of his own race ? Y we devided in so many different forms that we forget that @ first we all are human , species with finest brain and heart to serve, but forgeting the prime , human get busy in serving the secondary ,the caste, religion,all means dividing human in one or other forms. Y the secondary ,greed of dominating is served more than primary serving the man kind… All these questions have only one purpose to open eye and save human race from killing each other & to stop making surviver of own species tough… May humanity rise in each heart of human..